custom accents or even a texture? Our expert installers will have you thinking it's paint. ​window film, tint wall graphics, and more to your commercial spaces and construction sites! Don't see what you're looking for give us a call at 815.462.4141 to see if we can help you out. receive 1.26 Million impressions per year. 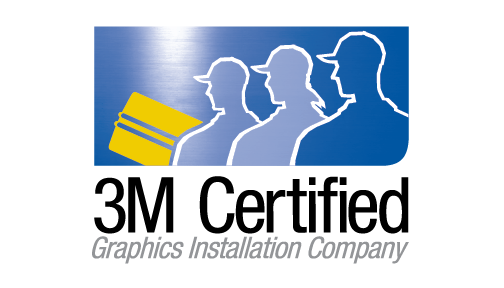 As of 2018 we have become a 3M Certified Installation Company this means a couple of different things for us and our customers! To learn more check out our FAQ page or visit their site. Below is a better description of all the services we are capable of doing. ​find out if we can help you! Interested in getting more info fill out the form below and we'll get back to you!